1962 Took his first photograph and instantly lost his soul to the mystery of photography. 1964 Boarded a private plane for the first time and lost his heart to the freedom of flight. Since then 1 000 hours+ in the air chasing, searching and always moving to spaces of beauty from where he can share his art, his every photograph to him an epiphany, an interpretation of his “god’s eye” view on the world. And it is beautiful. These dates document the birth and rebirth of Paul as a photographic artist. He has won more than 50 awards, both locally and internationally, for his work as photographer, cinematographer, director and writer. Photographs continuously published in various local and international publications that include National Geographic, Geo, Stern and Go magazine. 3 Nights in Amsterdam, a photography travel journal, 2004. 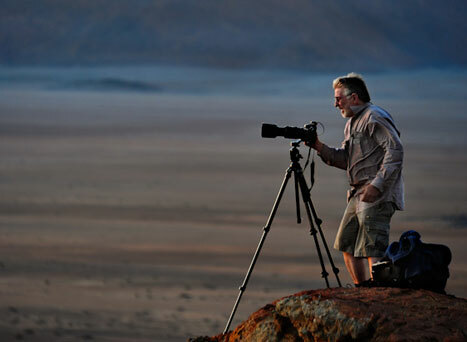 Various awards and achievements as cinematographer for documentaries, commercials and art films broadcasted on more than 40 local and international television channels that include National Geographic, Animal Planet and Discovery Channel. Esteemed clients of Paul’s work include amongst others the State House of Namibia and the Hilton Hotel, the Namibia Tourist Board, private collectors and many others.